Status CB-1 review | What Hi-Fi? You may not have heard of Status before. It sells its headphones on Amazon from its own mini-store, bypassing the cost of dealing with bricks-and-mortar retailers. The Status CB-1s cost £70 - but initially they look and feel like they might cost twice the price. There are impressive elements to the sound too, although sound issues mean the ambition of these headphones is thwarted by compromise in the end. The Status CB-1s are chunky full-size headphones, a little like an affordable (and wired) take on the B&O H4, the Beats Dr Dre Studio or Sony MDR-1000X. You get a lot of headphone for minimal cash. Put them on, though, and you’ll find the Status CB-1s are a little out of step with current headphone design trends. For a few years now, even large over-ear headphones do their best not to extend out from your head too much. The 1950s radio operator look is out. The Status CB-1s stick out a lot thanks to their thick pads. Look head-on into a mirror with them on and they almost double the width of your head. It’s a pity - the design is otherwise perfectly good in its own plain, logo-free way. Its cups are circular, with circles of champagne gold that outline the two main parts of the cup. These rings are finished with actual metal, not just metallic paint. The cable attaches to just one cup, like other portable headphones, and they fold up DJ headphone-style to take up less room. They feel almost as well-made as, say, the Audio Technica ATH-M40X, and don’t creak much as you walk about. There are a few signs the Status CB-1s are cheap headphones, though. The fake leather headband is oddly ruffled, as it hasn’t been cut to account for the curvature of the band. You don’t see this with the Audio Technica ATH-M50X or Sony MDR-V55. There’s a tiny bit of this effect in the earpads too, making the CB-1s seem a little thrown together. However, they are very comfortable. Low weight and generous padding in both the cups and headband ensures a luxurious feel. But despite all that foam, and the depth of the cups, the Status CB-1 don’t actually block out much sound. They’re not quite the audio ear-defenders they appear to be. The cable is removable, using a twist-to-lock mechanism, and there are two in the box. Neither has a remote, but they are different: one is coiled, the other a longer straight cable. Neither is really perfect for use with a phone: they’re too long. They are really pro audio-style, but the coiled cable will do the job for street use without leaving wire dragging along the pavement. A 6.3mm adapter is included too. The Status CB-1s’ sound is a mixed bag, with highs that are rare at the price and weak elements that most big brands would avoid. The best part is the scale of the sound. These headphones use 50mm drivers, and while that’s no guarantee of a large soundstage, here it’s as big and airy as some open-backed alternatives. Grand scale and very good width for a closed-back headphone are the biggest wins. Treble is reasonably well extended, and less sharp than that of the zesty Audio Technica ATH-M50X. Status likes to describe the sound of its headphones as 'neutral' and 'balanced', but the bass is actually strong and weighty. It's also soft and ill-disciplined. The main problems are not in the bass or treble, though, but between. These headphones trade on their wide soundstage, using it to mitigate the effects of untamed midrange and upper bass. It is not entirely successful. Midrange resonance and bloat causes some unsightly clashes when the right (or wrong) combination of frequencies appear in a song. It turns the meat of the CB-1 sound into dough, resulting in poor separation of vocals from other midrange elements. Timing is sloppy and badly focused, leaving the sound mired in those claggy mids. Compared to the Audio Technica ATH-M50X and SoundMagic HP151, the Status CB-1 are significantly less taut and dynamic. They lack punch. While the decent treble extension and width make a good first impression, it’s the negative elements that come to characterise the sound as you carry on listening. 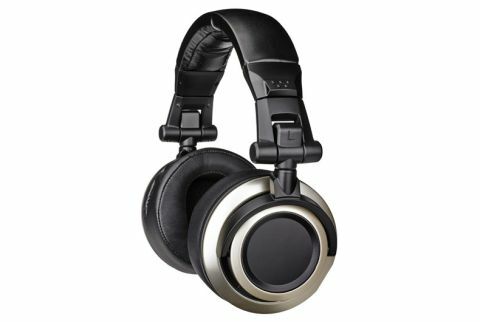 The Status CB-1s are interesting headphones. You’d normally have to import Chinese-made no-brand headphones equivalents at this sort of price, but you can buy this pair just like any Sony or Sennheiser set. You get a lot of hardware for the price, including multiple cables, decent build and large drivers that deliver big sound. However, there are some amateurish parts to both build and sound you wouldn’t hear in a rival from a big brand, most notably the sloppy lower mids and poor timing.